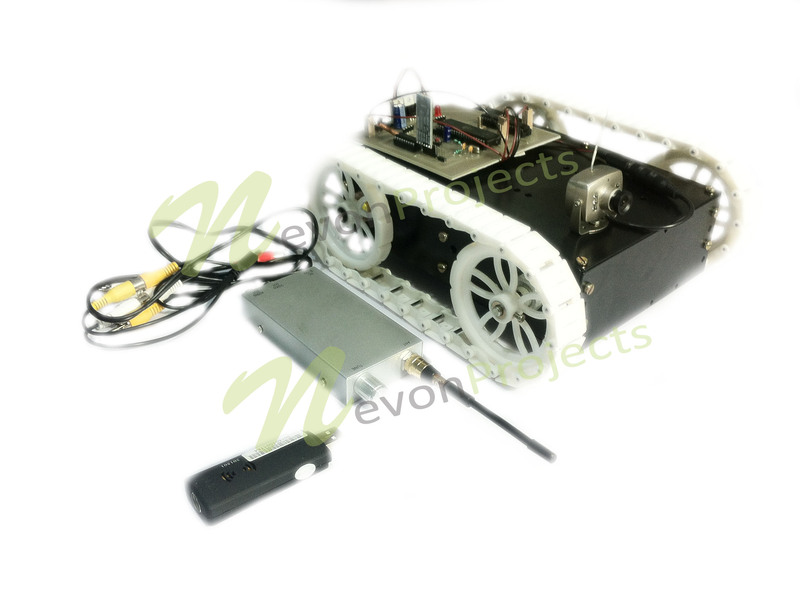 Our project aims to provide a robotic vehicle equipped with a wireless camera having night vision capability for remote monitoring/spying purposes. The night vision camera allows for transmitting real time night vision video even in dark environments. Whatever is recorded by the camera can be viewed in PC for reference. This system is to be useful in war, terrorism and sensitive areas. It can also be used to operate in jungles and other environments humans cannot possibly enter during the night. The vehicle can be controlled remotely by an android device for easy operation. It uses android application commands to move in front, back and left right directions. 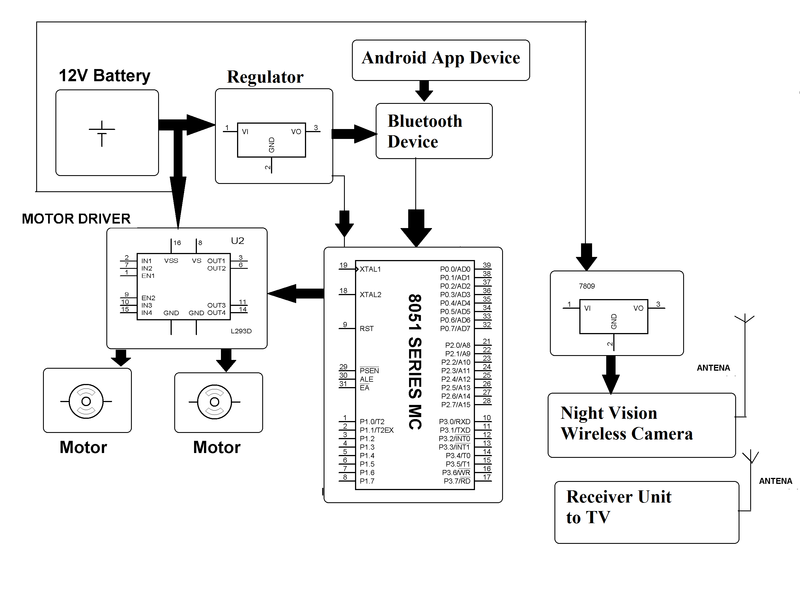 The vehicle consists of receivers interfaced to an 8051 microcontroller. On receiving command from the receiver. The 8051 microcontroller now operates the movement motor through a driver IC. 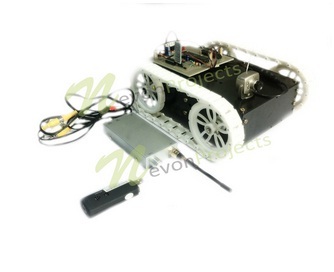 The robotic vehicle can be easily operated from any android device. It provides a good user interface for handling the vehicle. The android device can operate the vehicle at a good Bluetooth communication range. 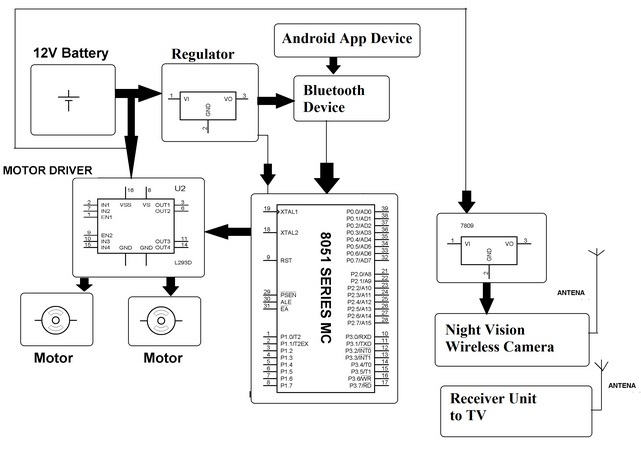 The Bluetooth receiver at the vehicle is used to transmit control movement data from app to vehicle. The night vision camera mounted on robot allows for efficient spying even in darkest areas using infrared lighting.